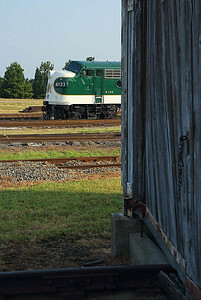 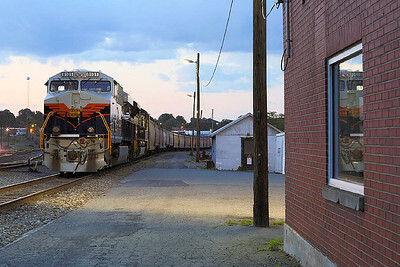 The southbound Amtrak Crescent passing the Landis,NC Southern Railway Depot. 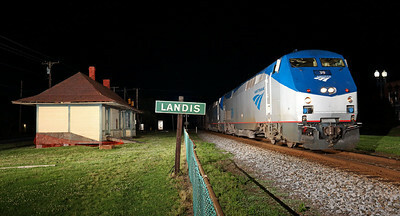 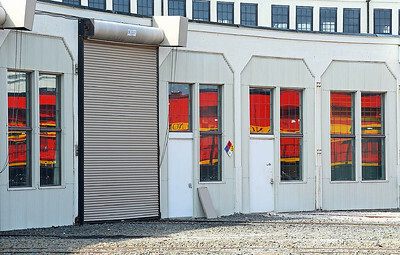 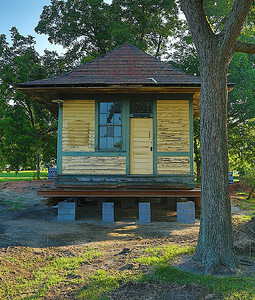 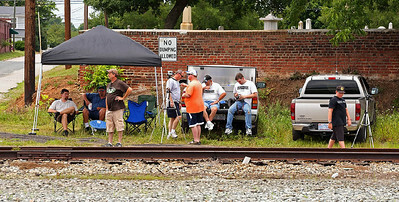 Landis,NC depot in its new home a block east of and out of sight of the tracks. 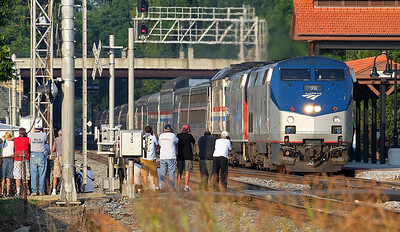 Amtrak 40th Anniversary motor #156 in the Amtrak Phase I paint scheme leads the southbound Amtrak Crescent thru Landis,NC. 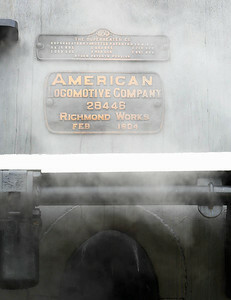 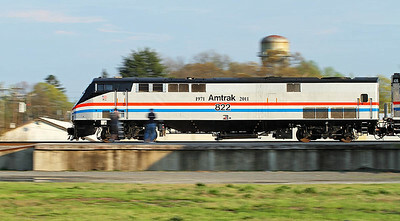 Amtrak 40th Anniversary motor #822 in the Amtrak Phase II paint scheme at Salisbury,NC. 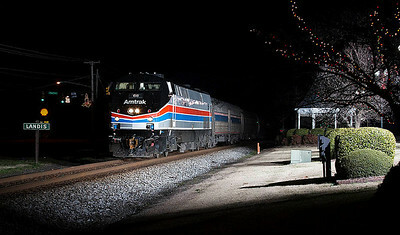 Amtrak Phase II Heritage motor #66 leads train 79 the southbound Carolinian thru Landis,NC on 12/30/12. 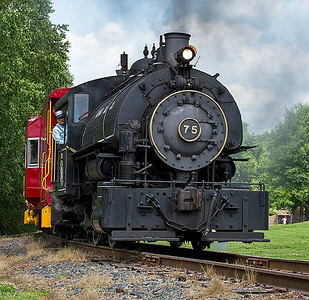 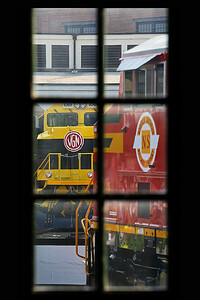 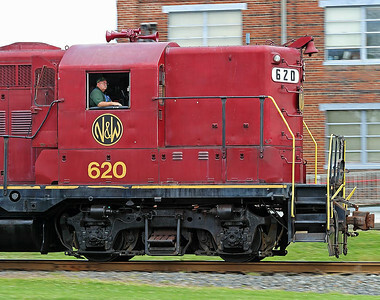 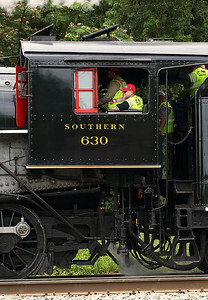 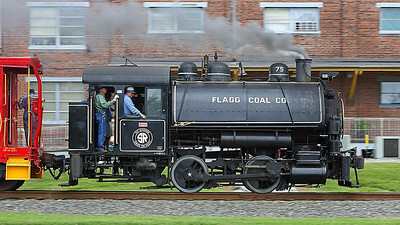 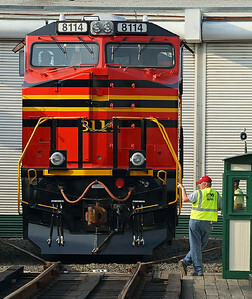 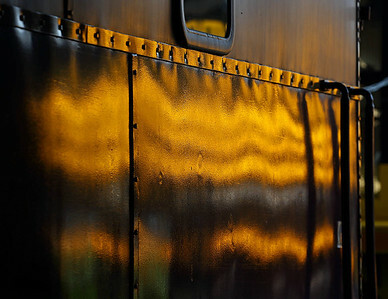 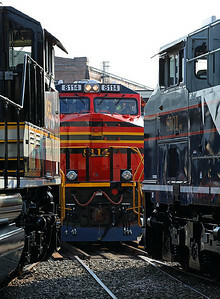 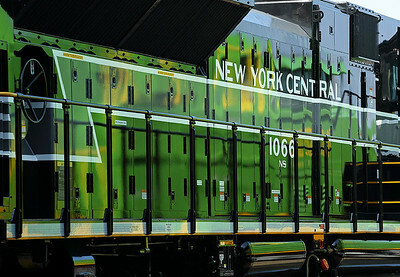 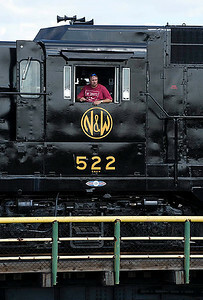 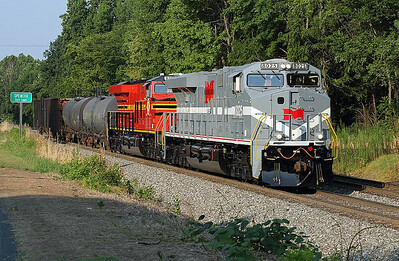 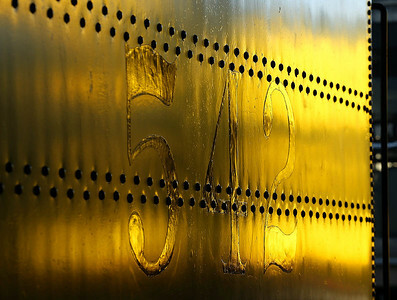 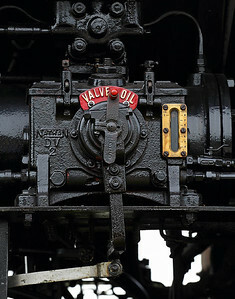 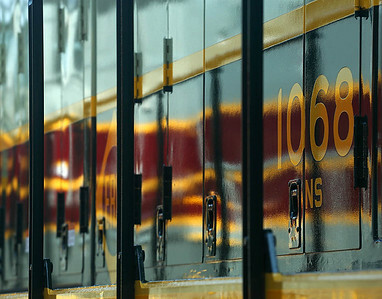 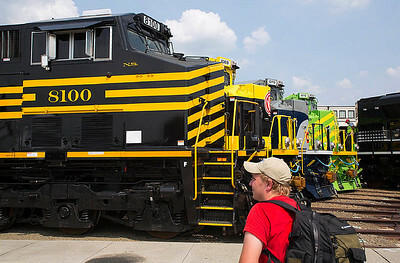 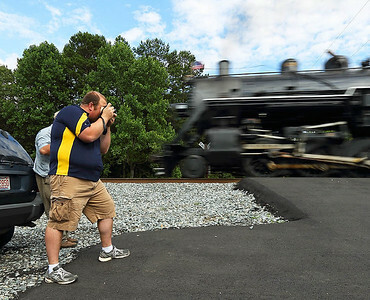 Norfolk & Western Ry GP9 #620 at the North Carolina transportation Museum in Spencer,NC. 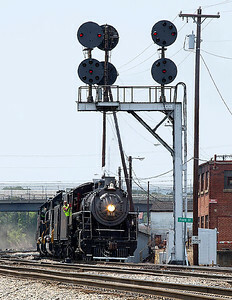 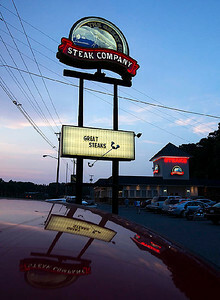 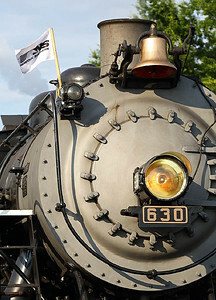 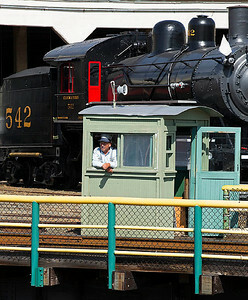 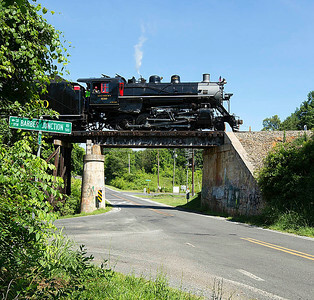 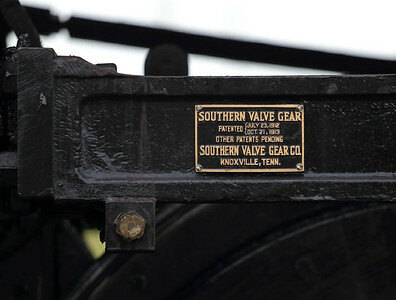 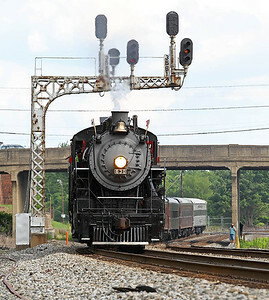 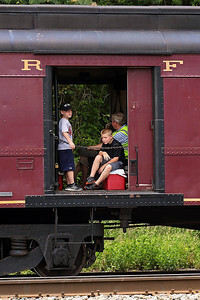 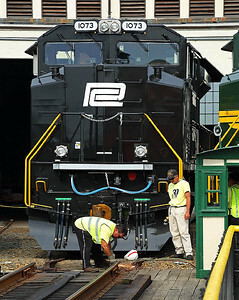 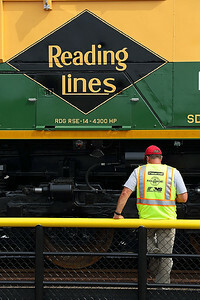 The only live steam in town may have been from the Southern Railway,but Roanoke,VA is still N&W country. 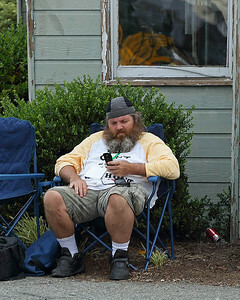 The party's over. 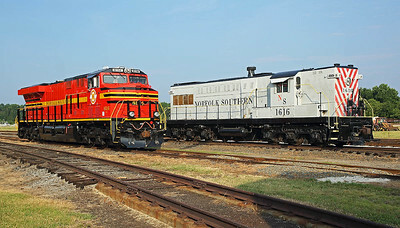 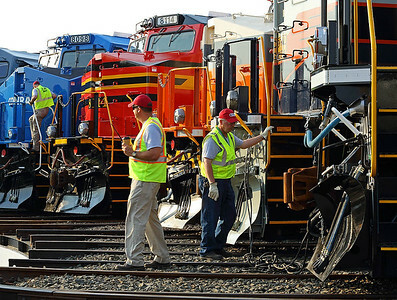 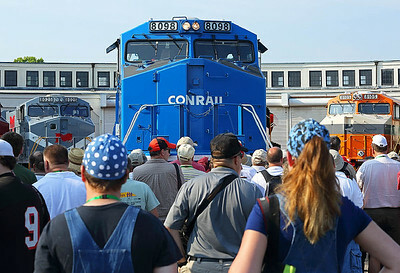 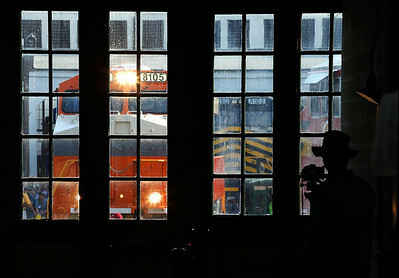 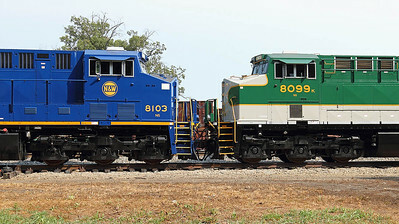 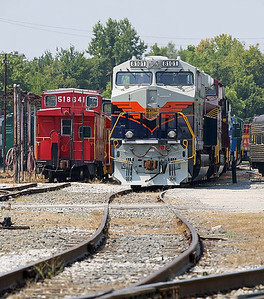 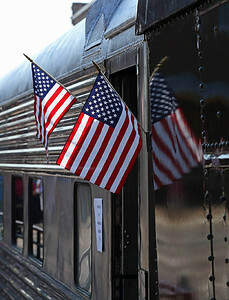 Amtrak equipment displayed at the NS 30th Anniversary celebration leaving Salisbury,NC.